See what PlayGround-LA Alumni have been up to over the summer as we prepare for Season 2 (and don’t miss the Season 2 Kick-Off on Sep 15... see below)! Roy Battocchio's, NO ROOM AT THE Holiday INN, originally featured at PlayGround-LA, will now be part of a Christmas Evening of Comedy with additional pieces added for a full evening. His one-act, The Beach (part of his full-length, SURPRISES), recently was a winner in Theatre West's prestigious competition, Ellen Idelson Award, and will run at TW in November. The entire play has just been published by JAC Publishing and Promotions. 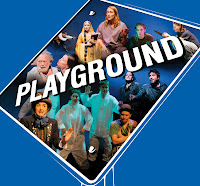 Dean Farell Bruggeman's SuperMom (PlayGround-LA, October 2012) was produced in North Hollywood in July 2013 as part of Eclectic Company Theatre's 10th Annual Hurricane Season New Play Festival & Playwriting Competition. Ron Burch’s The Origin of Lewis Hackett (PlayGround-LA, October 2012) was produced in the 2013 Shorts Festival by The Red Brick Road Theatre Company, June 27-30, 2013, directed by Emily Heller. The play will be published in "The Best 10-Minute Plays 2014," Smith & Kraus Publishers, December 2014. Ron’s ROMEO AND JULES was part of the Gay Play Series (GPS) at the Ringwald Theatre (Ferndale, MI), June 22-23, 2013, directed by Gary Lehman. Kathleen Cecchin is on the verge of shooting her short film PAM. She has also added to her play Pinocchia last seen at the PlayGround-LA's "Best of" offering last Spring. John Corcoran saw his play The Kid in the Trunk (PlayGround-LA, February 2013) performed June 20 at The Other Space Theater at the Actors Company in Hollywood, and is looking forward to PlayGround-LA’s second season in Los Angeles this Fall. In his spare time he’s working on a couple of full length projects and trying to find the doctor who cloned Ron Burch. Andrew Crabtree is currently producing a docu-series for GQ magazine and his most recent writing/directing project, Planning Ahead, is an official selection for the Los Angeles No Budget Film Festival to be screened this September. Forrest Hartl's short film The Whexican, starring Alejandro Patiño, will make its world premiere at the 9th Annual Tucson Film & Music Festival. His web series, Men Folk, continues to mystify its viewers on Vimeo with the help of PlayGround-LA alum Tahmus Rounds. Karen Howes spent most of last season finishing up her MFA in writing and graduating in June. Her play The 5564 to Toronto, which had its first staging at PlayGround-LA ,went on to win a spot in the Six Women's Playwright Festival, Jersey Voices and Ten by Ten in the Triangle at ArtCenter Live where it was one of ten out of 750 submitted plays chosen for production. 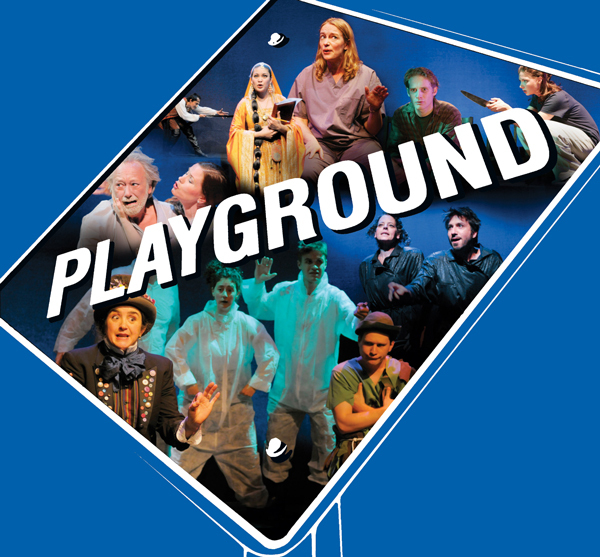 She is so very grateful to PlayGround-LA for providing her with the incentive to write such a fun play. It truly is a playground for writers. Tom Misuraca’s KEEPING THE WOLF FROM the door was stage read at Drama West in Los Angeles in June. It was directed by and starred Hettie Lynn Hurtes of local NPR station KPCC. Next week, an excerpt from his play, THE eBOOK OF LOVE, will be produced at Distilled Theatre Company's Playoffs!